This Body Language poster developed by Shannon Coyner shows the common as well as more subtle signs of fear and anxiety. This 8×10 size poster is available free as a PDF download which you can print on your own and will fit into any standard size frame. Get to know and understand your cat's body language! Also demonstrates body postures that are unique to cats. 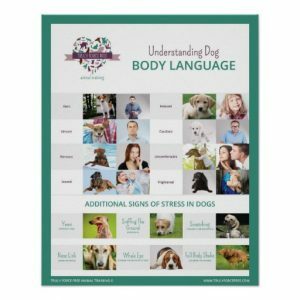 This Body Language poster was developed by Shannon Coyner and can be purchased on Zazzle. 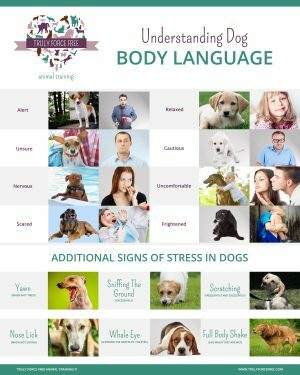 Get to know and understand your dog's body language! Also demonstrates body postures that are unique to dogs. 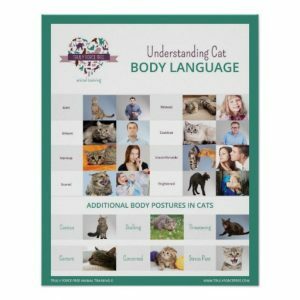 This Body Language poster was developed by Shannon Coyner and can be purchased on Zazzle. 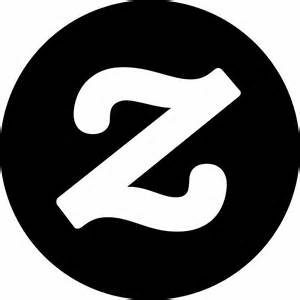 Do you love our logo as much as we do? Now you can get products with the Truly Force Free logo on it! Whether it is a t-shirt, sweatshirt, dog shirt, dog tag or other product, you can get it here! Send us pictures of you or your dog wearing a Truly Force Free t-shirt and we may use it online!